Once one of our most popular clamps, Seagull's patented Ring Clamp is still capable of uniquely meeting specialized industry needs. Molded Viton Rubber rings are fit into retaining grooves to provide excellent disk centering and a soft touch yet firm, non slip holding force. A small bulge is strategically formed above the disk to prevent disk loss in an emergency. 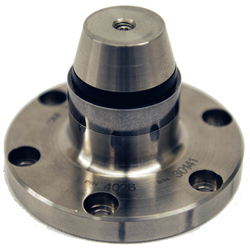 As the ring is self sealing in it's grooves this clamp design is suitable for use in adverse operating environments such as wet process or free abrasive.particles.